Nifty opened weak just below the previous day’s close and stayed weak throughout the entire session to touch the lows of 6307, but closed better at 6332.85, a loss of 31.05 points. The broader market was very weak, with just 434 advances to 909 declines. Best resistance at 6500. Put option 6300, 6100-5900 added 9.75 lacs huge amount of OI with profit booking seen at 6200 strike prices. 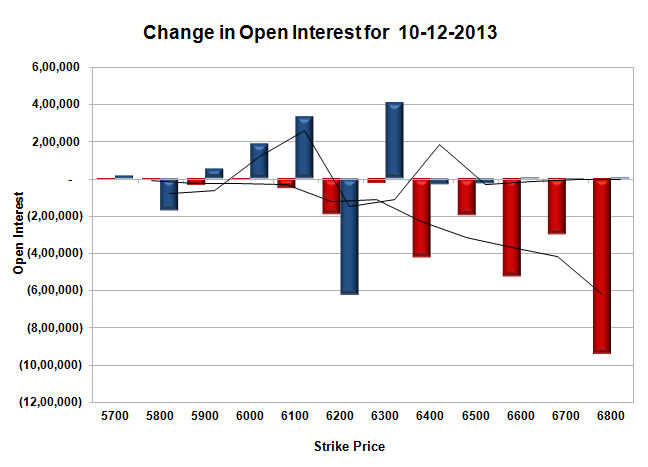 Nifty Open Interest is at 2,19,76,700 up by 4,03,450, with decrease in price, mostly short build-up. Bank Nifty Open Interest is at 14,94,325 down by 4,850, with decrease in price, mostly long liquidation. FII’s bought 2.88 lacs Futures, mostly long build-up, as their net OI increased by 15878 contracts (includes 53208 longs and 47450 shorts for the day) and the average price per contract comes to around 6346.27. FII’s future open contract as on date is 560937. PCR Open Interest (Volume) is steadily moving up and not at 1.139. Initial support still at 6300, with huge addition for the day at 4.05 lacs and below that at 6200 with OI of 41.55 lacs. 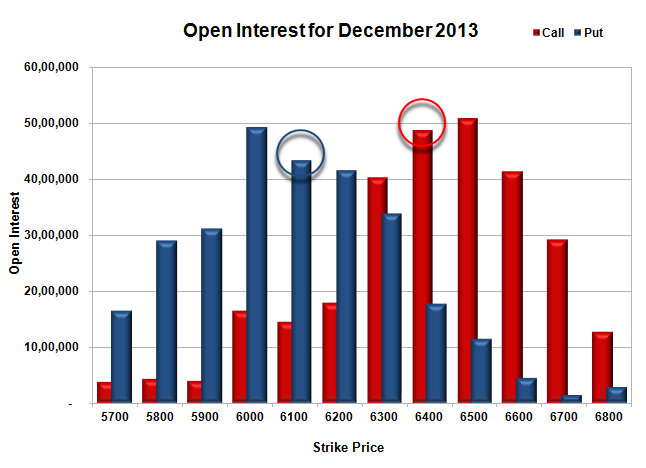 Initial resistance at 6400, with OI of 48.80 lacs and above that at 6500, with highest OI of 50.93 lacs. 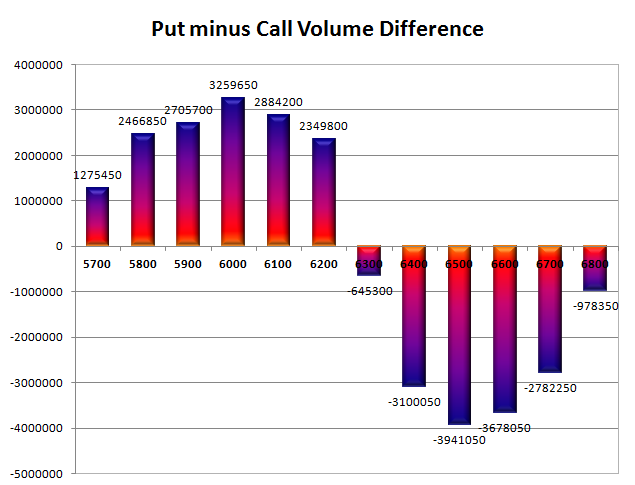 Day Range as per Option Table is 6272 - 6393 and as per VIX is 6273 - 6392 with 6334 as the Pivot.